In China, the Ami were considered too small by the government to be recognized as an official minority group. 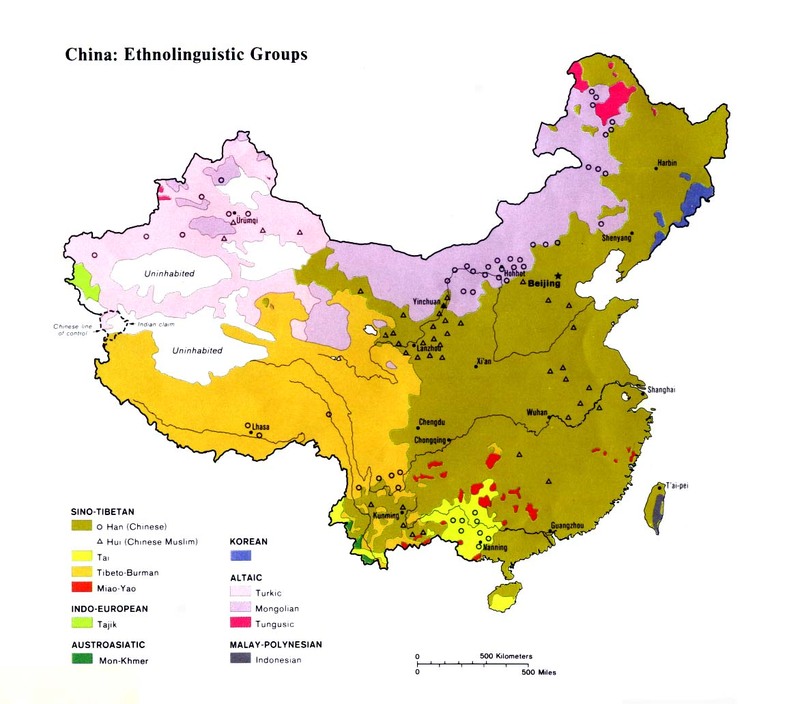 Along with the Bunun and Paiwan tribes, they were grouped together under the official banner of Gaoshan, a generic Chinese name which simply means "high mountains". The Ami believe they are descended from the god Abokurayan and from the goddess Taribrayan who produced so many children that the Ami had to move from Orchid Island to the Taiwan mainland. The Ami, who "seem to be composed of several more or less unrelated ethnic elements," say their ancestors came from an overseas island called Sanasai or Vasai. Some scholars have speculated these islands are today's Caroline Islands in the Pacific Ocean. Small pockets of Ami migrated across the Taiwan Strait to China at least a century ago. Between 1946 and 1949, about 100 Ami men were forcibly enlisted in the Kuomintang forces during the civil war in China. When the KMT lost to the Communists, most stayed in Fujian and formed Ami communities. Many Ami villages have a matrilineal clan system, with the grandmother acting as the head of the household. Some Ami believe men should only eat male fish and women should only eat female fish. They believe a woman who eats a male fish might fall sick or die. It is common practice for an Ami husband to live with his wife and mother-in-law after the marriage. "If the wife later finds that the marriage has turned sour, she will put the man's sword and trunk in front of the courtyard, which will make the man depart without complaint." The Ami in Fujian are polytheists. Their worship includes paying homage to Maadidil (the god of Fire), Tsidar (the Sun god), Botal (the Moon god), Malataw (the god of Heaven), Makosem (the god of Rain), and Laladay (the god of Water). The Ami are an unreached group in China, despite the presence of a strong Ami church in Taiwan. As many as half of the 130,000 Ami in Taiwan claim to be Christians. There were only 100 Ami believers in Taiwan by 1945, but 80 churches by 1955. Recently the Presbyterians alone claimed a total of 20,989 Ami believers meeting in 138 churches. The Ami Overseas Mission sent four families to Borneo in 1968. Today there are Ami missionaries in Malaysia, the Philippines, Indonesia, and Papua New Guinea. Teams of Ami Christians from Taiwan have ministered in China but not as yet to their own people. The Ami in Taiwan have the entire Bible in their language, but it is not available in China. Scripture Prayers for the Ami in China.